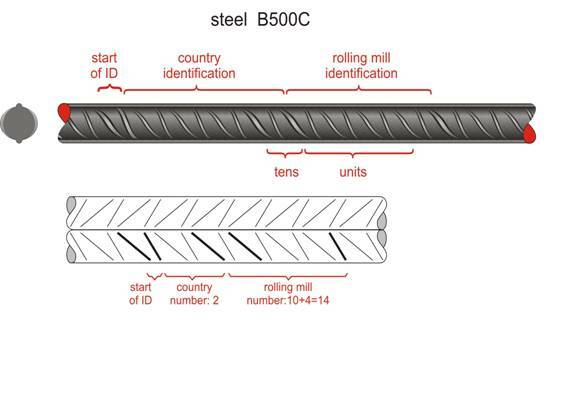 The steel used inside the reinforced concrete, is generally in the form of round rebars with a usual diameter ranging from Ø8 up to Ø25. In the market it is available in the form of straight bars 12 or 14 m long and in the form of coils weighting around 1.5 to 3.0 tones. Steel, either in the form of straight bars or coils, is a completely industrial product thus it has a standard level of high quality. This is the reason why its safety factor is 1.15 compared to the concrete’s safety factor that is equal to 1.50. Although concrete is industrially manufactured in it’s production, it’s transport and casting include a wide range of uncertainties. In a practical level, the only class allowed to be used in reinforcement bars in Eurocode con-crete structures is B500C and in wire meshes B500A. The class B500C is an advanced version of S500s. Its strength remains the same (500Mpa) but its ductility and weld ability are higher. However, steel and reinforcement are two different things. The reinforcement is a sophisticated composition of steel pieces that has to be properly cut, formed and placed so as to behave in the required way and support the structure not only in its entire service life but mainly in the few seconds of an intense earthquake. Ordering concrete is a simple procedure; the only information required is the desirable amount, e.g. 52 m³. On the other hand, ordering reinforcement requires the exact amount of a few hun-dred or a few thousand pieces of steel, for small and large buildings respectively. Reinforcement ordering requires a catalogue with the shape and exact dimensions of every piece of steel nec-essary for the structure’s reinforcement. As a rule, a formwork plan alone is not enough. The personnel responsible to place the rein-forcement might not entirely comprehend the necessity of all reinforcement pieces as will the designer engineer or the supervisor engineer. Of course making an accurate list of all the re-quired reinforcement is a complicated and strenuous task. According to the regulations it is mandatory only in public works and the person responsible is paid the same fee as the engineer that makes the final design (i.e. the design approved by the Town Planning Office). This legal obligation regards only public works because in the past private buildings were quite simple constructions. However, nowadays private buildings can be as complex as public works there-fore the implementation design is absolutely necessary, as it is in the advanced market of the rest of the world. The reinforcement implementation design is mandatory even in countries with low seismic activity because a good design ensures a feasible construction and a meticulous construction ensures the structural frame’s strength. Reinforcement is such a complex and critical issue that an excellent implementation study and a meticulous supervision alone are not enough. 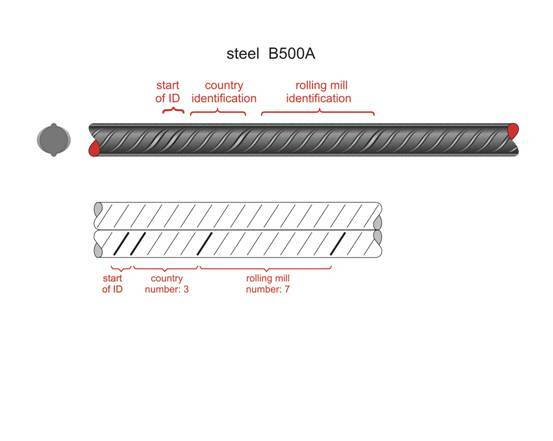 Steel must be produced according to all specifica-tions mentioned in the Concrete Technology Regulation, which mainly refers to the forming, transportation and application of steel reinforcement and not to its production. The most impor-tant of which are: the company responsible for steel’s production must have indoor facilities, must use certified materials, must have the proper machinery for cutting, bending and welding steel and most of all must employ at least one experienced technician with university or techno-logical education. Similarly to concrete which can be produced in the building site, steel can be cut, formed and assembled in the building site too. However, in both cases it is absolutely necessary to have a high level of technical organization, proper equipment and most of all experienced personnel. Although steel has a standard industrial production quality, its cut, formation and basically its placement (inside the formwork moulds) quality are greatly affected by the human factor. Especially in earthquake resistant structures, where a large amount of reinforcement is being placed, the design and construction are both equally important for the building’s strength; there-fore this series of books puts a lot of weight to the reinforcement factor.